Forced to confront the reality of her life without its perfect filters, Melissa knows she needs to make some changes. But when she bumps into not one, but two gorgeous men, without the use of an app, she believes there could be hope for love offline! I wanted to tackle the issue of technology overuse in modern society, partly because I notice it a lot, but mostly because I’m as guilty as the worst offender. I look for my phone when it’s in my hand, I check Facebook and Twitter constantly and even become slightly agitated when my phone isn’t on hand. I’m an eighties child, and after my iPhone had an unfortunate swimming incident in the toilet which resulted in a one-way trip to iPhone heaven, I spent time thinking about how we used to do things. How did we communicate with each other or find out information? Well the truth is, it was a lot harder back then. I remember the days of waiting nervously outside McDondald’s, hoping my friend would turn up whilst wondering if I had the right day or time, panicking because my dad wouldn’t be picking me up for another few hours. If we didn’t know something, we asked a grown up, who may or may not have had the right answer, or at a push, we’d dig out the encyclopaedia, hoping it wasn’t too far out of date. Of course, we coped then because we had to, we knew of no better alternative. Now many of us are so reliant upon technology it would be hard to give it up. That’s where the idea for ‘The Secret to Falling in Love’ came from. Of course, the book is a bit of fun, but the concept of the Matrix effect, came to me around the same time as the passing of my phone. Observing ‘networked humans’ wandering aimlessly and staring at screens, being infused with data and information with no acknowledgement of the real world. I spotted people staring at screens on a train whilst missing out on the natural beauty of the Yorkshire Dales. Sometimes I feel like I’m downloading nonsense, and the toll of a huge data dump affects my capacity. Trying to avoid technology, for me, is a conscious decision and something I have to work at. I don’t think we are actively choosing the blue pill to stay in ‘Neverland’, I think the blue pill is choosing us. 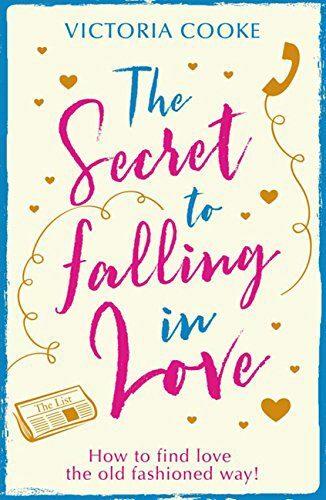 For a more light-hearted, comical look at going technology free, download The Secret to Falling in Love today. Available worldwide from Amazon / Kindle, Nook, Kobo, Ibooks and all other ebook retailers.